Apple announced 3 new iPhones earlier today. Even though countless rumours have been circulating around months before, the final pieces of the puzzle always come from the official announcement. Most of us already know the sizes and shapes of the new iPhones, but we wouldn’t know the name, price and hardware specs inside. These pieces of the puzzle are important in making our purchase decision, if we already plan to get a new iPhone in the first place. I will not spend too much time in writing the technical specs of each because I’m sure there are thousands of other articles out there giving you the exact same information. This article will write more about my personal take on them. iPhone XS is the next generation of last year’s iPhone X. Just like the normal “S” model, iPhone XS looks identical to iPhone X (5.8″ Super Retina HD Display with OLED technology and that infamous notch), with improved camera and faster processor. Improved camera would bring (hopefully) better photos and allow faster FaceID. Faster processor will bring impressive number in benchmarks, but the real impact in day to day usage won’t be noticed by most ordinary users. If you already own last year’s iPhone X, there is very little reason to upgrade to this one. iPhone XS Max is Apple’s phone with largest screen size ever. This phone looks identical to iPhone XS, only bigger. 6.5″ screen (Super Retina HD Display with OLED) is big for any smartphone and it’s certainly attractive for a number of buyers who loves big screen. For me, it matters that this is the only model from this year’s lineup that will support iOS two-columns landscape. The downside… this model is even more expensive than iPhone XS. For each storage capacity level, iPhone XS Max costs $100 (USD) more. iPhone XR is Apple’s idea of “affordable” phone. It starts at $749, clearly not cheap, but compared to $999 price for entry level XS (or even $1099 XS Max), XR certainly will attract more people. For $250 (USD) saving, a user will get almost everything that iPhone XS buyers get: A12 processor, FaceID, big screen and of course that infamous notch. 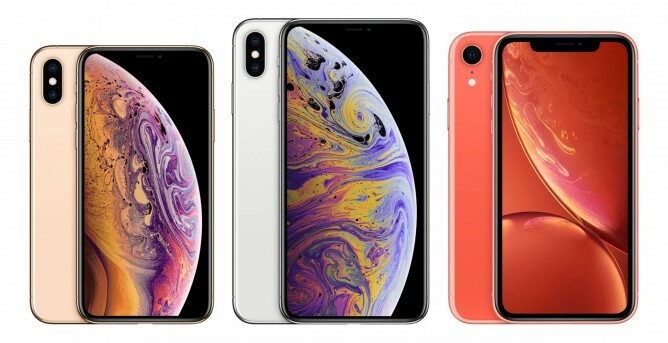 There are only 4 notable differences: the screen (using LCD instead of OLED and the pixel density is considerably lower), the camera (XR only has single camera), the RAM (3GB instead of 4GB in XS and XS Max) and the lack of 3D Touch. Oh, and the surrounding bezel is slightly thicker. If you are okay with these compromises, then iPhone XR might be your ideal choice. For me, I’m still undecided. Will definitely get a new iPhone this year. Was very excited to get XS Max before I read about the price. Now I’m considering XR.